Soldiers generally have to endure training that is mind-blowing, but how brutal it gets depends on the country. One thing is certain, some troops are pushed way beyond their physical and mental boundaries — sometimes near death. These are among some of the most unorthodox and unique approaches toward getting troops ready for real-life situations. One of these countries even forces their troops to get drunk while undergoing physically demanding exercises. As if doing the exercise sober wasn’t hard enough. In Taiwan, the Marines must crawl across large rocks with sharp edges, their bare skin exposed and using their whole body to slither across for 50 meters without using their arms. The North Korean Storm Corps — as reported by defectors — uses training drills where the soldiers must repeatedly punch trees and jagged tin cans until they are bloody and oozing pus. Upon completion, they must punch piles of salt with their hands, despite their open wounds. South Korean Special Forces must undertake military training with barely any clothes on in sub-zero temperatures. The People’s Liberation Army of China makes groups of soldiers stand in circles around a pit. Then they light an explosive and pass it around, kind of like a game of hot potato. When it’s ready to blow, whichever soldier has it will toss it into the pit, and all soldiers take a running dive for safety. The Philippines Special Operations Group gets their soldiers drunk and then forces them to conduct grueling military drills. They say this helps them eliminate the soldiers who don’t have the right personality. They have to swim 18 miles, shooting practice and a six-mile job, all while wasted. The U.S. Marine Snipers must have a deadened sense of smell, especially since they have to soak their ghillie suits in stagnant water and then roll around in the dirt. Navy SEALs have to do a brutal procedure called drowned pooling. This requires them to go deep underwater while their hands and feet are bound and perform various tasks. It helps them with breathing control, along with handling fear and panic. 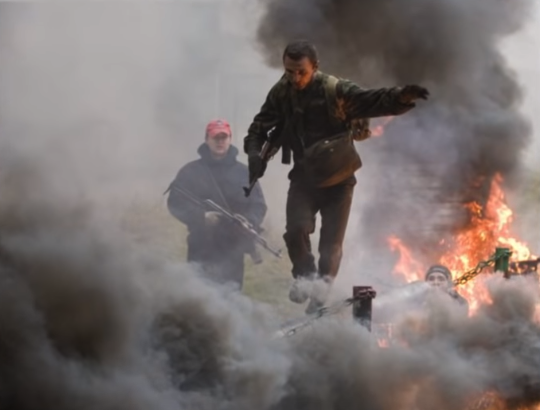 The Belarus Red Berets must complete an obstacle course that is unlike any traditional obstacle course. This course has all the standard obstacles but adds in fire, flames, being shot at, and being knocked off course. Maybe this is why only 10 percent successfully complete training. The Indonesian Army keeps it simpler. Not! Soldiers complete a routine obstacle course with live gunfire shot just inches from their feet. The Russian Special Forces use an extreme training tactic where soldiers in training are suited with full body armor and shot in the chest by the instructor.